AQUEST ANY LA PLUJA NO ENS HA PERMÉS CELEBRAR LA CASTANYADA AL PATI, PERÒ L’HEM POGUT GAUDIR AL GIMNÀS DE L’ESCOLA. 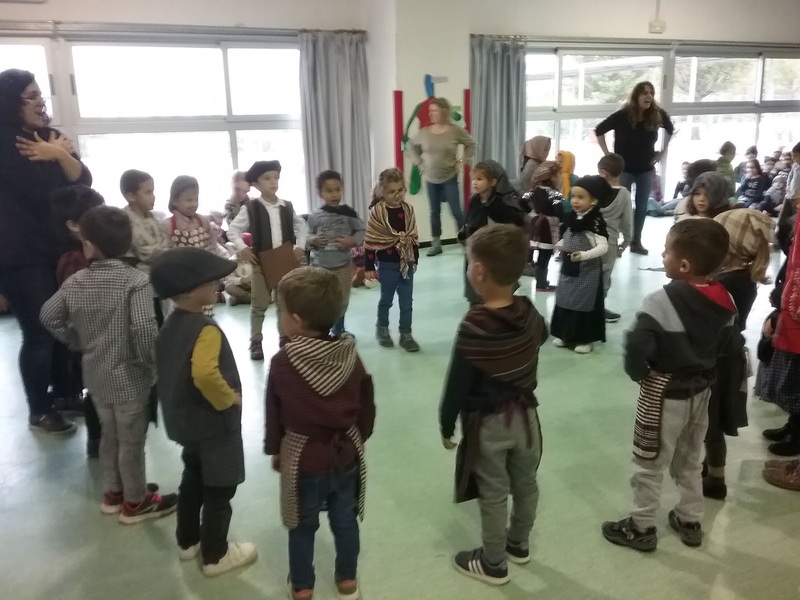 TOT EL CICLE D’EDUCACIÓ INFANTIL I CICLE INICIAL HEM POGUT VEURE LES DANSES DELS ALTRES NENS I NENES DE L’ESCOLA COM , EL BALL DE LA CASTANYERA, EL BALL DEL MARRAMEU…HO HAN FET SUUUPER BÉ!!! !